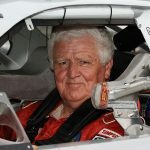 Longtime stock car racing driver and owner James Harvey Hylton, the 1966 NASCAR Cup Series rookie of the year, has died at the age of 83. 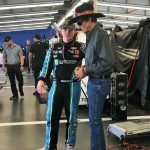 Thad Moffitt was within a whisker of earning the General Tire Pole Award in his first-ever appearance at Daytona Int’l Speedway on Friday afternoon. 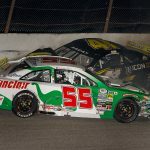 Racing is returning to the legendary Milwaukee Mile for the first time since 2015. 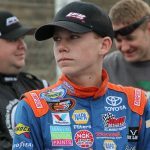 Making his first start at Daytona Int’l Speedway, Christian Eckes earned the pole for Saturday’s ARCA Racing Series opener during qualifying on Friday afternoon. 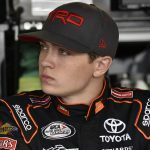 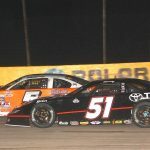 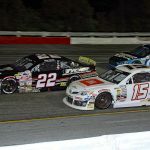 Zane Smith and team owner Doug Fuller have been penalized as a result of Smith's actions while driving in Saturday's Kentuckiana Ford Dealers Fall Classic 200 at Salem Speedway. 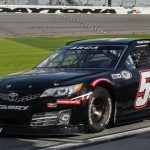 The ARCA Racing Series presented by Menards concluded a two-day test at Daytona Int'l Speedway on Saturday afternoon. 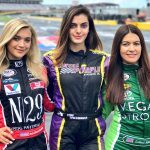 Venturini Motorsports will unveil its version of girl power when the longtime ARCA Racing Series presented by Menards team returns home to Chicagoland Speedway on June 28 with a trio of female drivers competing in the series' Scott 150 event. 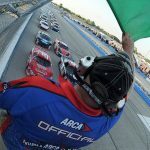 Friday morning at Talladega Superspeedway NASCAR officials announced the sanctioning body is acquiring the Automobile Racing Club of America, which sanctions the ARCA Racing Series presented by Menards.